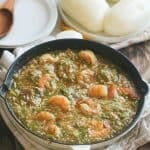 African Okro Soup-Quick & healthy. 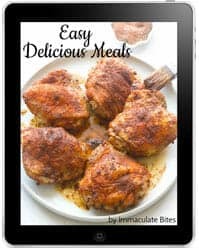 Oh so easy yet yummy! 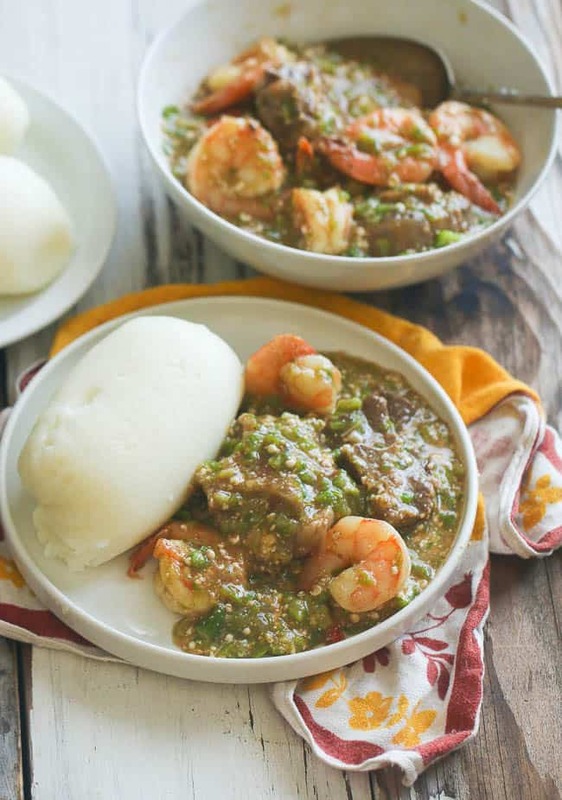 Okro Soup African style loaded with shrimp , oxtails with or without Egusi. 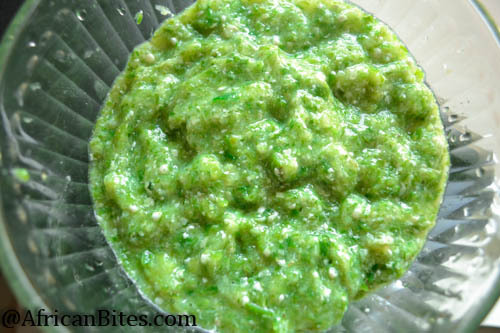 Growing up Okra Soup was on my list of reviled sauce; when okra soup was on the menu at home. 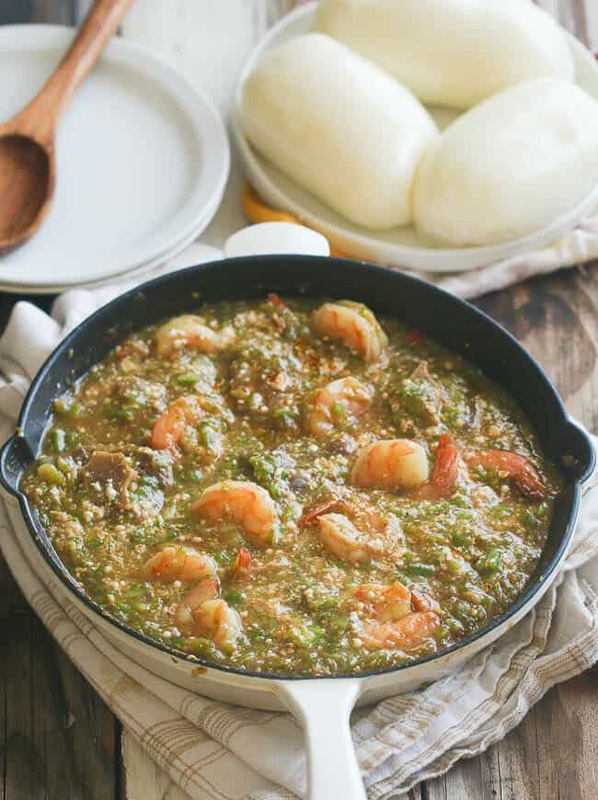 I would often eat bread or Garri, for sustenance, – Anything but Okro! I had such negative memories, they were hard to shake off. There was always an okro party, in the neighborhood and for me it was not a pretty sight. I could go on, but I know you get the gist. Fast forward a few years, and guess what? My taste buds have changed, I think improved and now I happily indulge in all things okro. In fact, it has become one of my go to meals because of its ease of preparation and versatility. I can still be picky about texture from time to time (though, not nearly as much as I was when I was a kid). For the health conscious, okra is a rich source of dietary fiber, minerals, and vitamins and a low calorie vegetable. 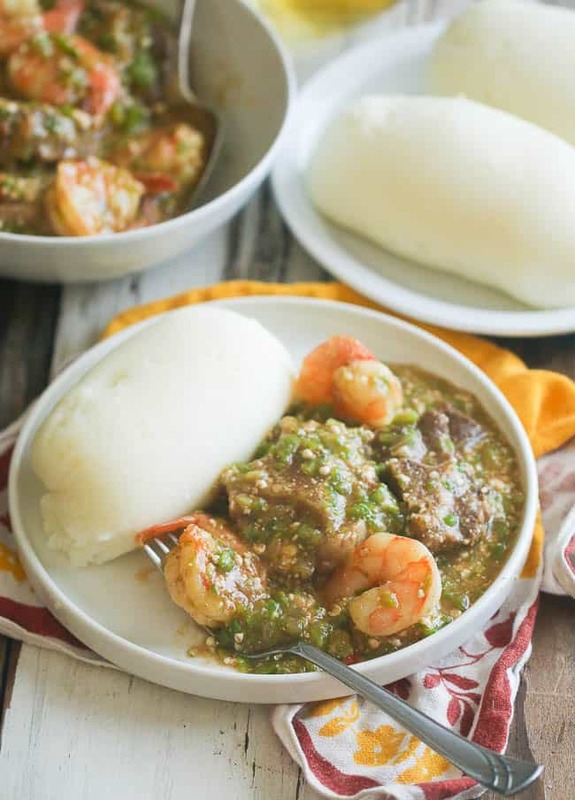 Known in most West African Countries as Okro, and the French speaking countries as gumbo. While in the U.S it is referred to as okra. So okra and okro are pretty much the same thing. Here is a one of my healthier take on Okro soup. It consists of okra, spinach, crayfish, meat, and egusi. I intentionally do not include oil in this soup okra because I want to fill up on it. – Oil contains a boat load of calories which does not add flavor or texture to this meal. Use very little or no egusi (pumpkin seeds)- You can easily purchase pumpkin seeds in most super markets . Use a coffee grinder to grind. Use stew beef instead of oxtails . Oxtails are have more fat . 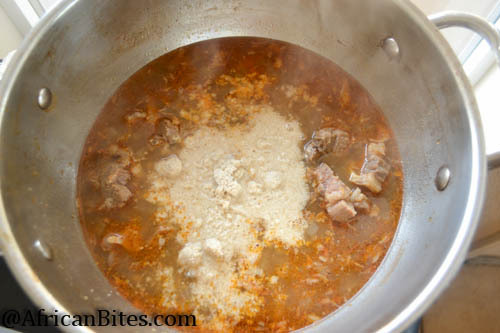 But can’t help but indulge – what I do to cut down on the fat is to remove the thin layer of fatty oil that comes to the top of the oxtail stock. You can do this by using a spoon or better yet boil the oxtail a day in advance, refrigerate, and gently remove the layer of fat. 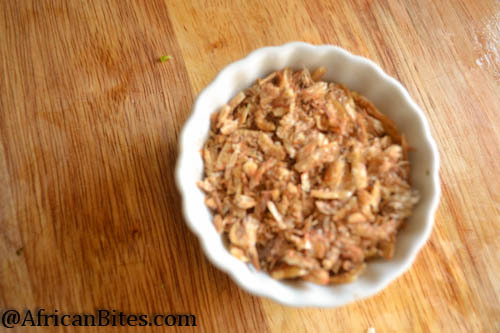 You can also use dried or smoked fish. If it is readily available. It’s a luxury for me. Crayfish is optional in this recipe you can cook this soup without it too. In medium –sized sauce pan boil oxtail seasoned with garlic salt, smoked paprika, pepper and onions until tender (approximately 30 -40 minutes). You can shorten this process in half by using a pressure cooker. If using fresh okra wash the okra, remove the tops and tails, and slice into rounds. Then add shrimp, cook for another 5 minutes and finally add the spinach and stir for about a minute or 2 . Last thing you add is okra, shrimp and spinach. Thank you for this recipe,adding egusi is a new for me. Can’t wait to try it! Excited for you, too. Hope you like it. Enjoy! This recipe sounds so good. I seems to be similar to gumbo. I’m so glad that I stumbled upon your website. Thank you. Can’t wait to make this today. Can’t get crayfish but will sub crabmeat. What is Maggie and when is it added? It’s comparable to chicken bouillon . Add together with egusi . Hi, Chioma. Yes, you may. Egusi is optional for this recipe. Happy cooking! It’s kind of tricky. I add enough to cover it , plus two more cups. You can always add as you go. When making the soup , set aside excess stock – then you can add to desired consistency. I have been trying to get my okra stew right for years. It was always loosing its consistency. This turned out just amazing…thanks so much!! Awesome! Glad to hear it was a success. How many people does this recept serves? Trying it tomorrow!! 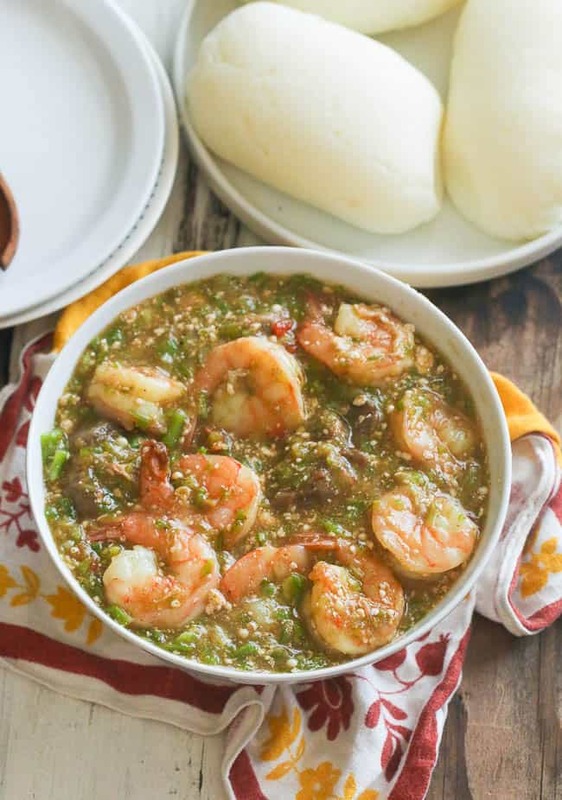 This is one of those recipes that really reveals the connection between West Africa and the Caribbean – callalou in Trinidad is made almost the same way. Thanks for posting! Do you have a recipe for the dipping bread that was shown with the okra soup? Do you mean the white stuff next to it? If so it’s not bread it’s Cornmeal fufu. 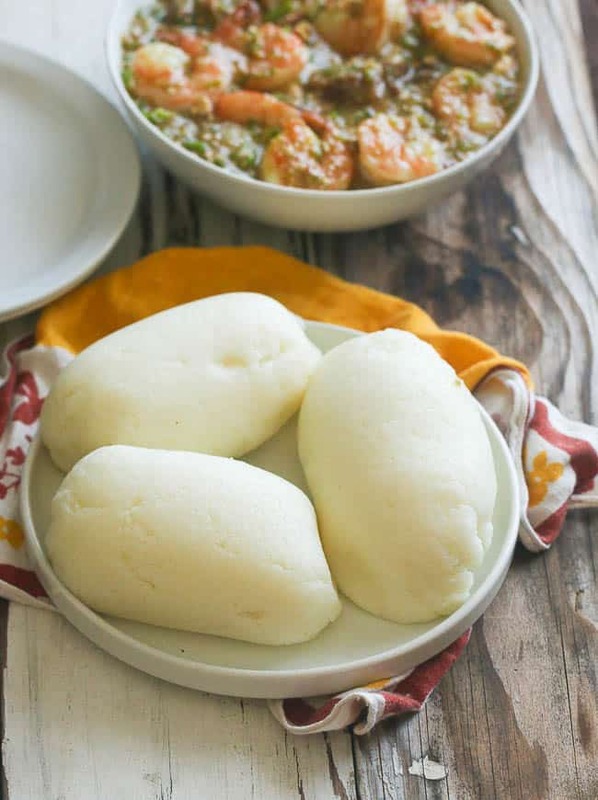 You can check it out here https://www.africanbites.com/ugali-corn-fufu/. 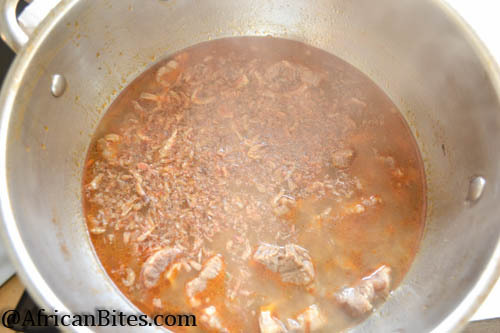 How much and what type of liquid did you use to boil the oxtail? Hi Brittany! I used about 4 cups liquid. 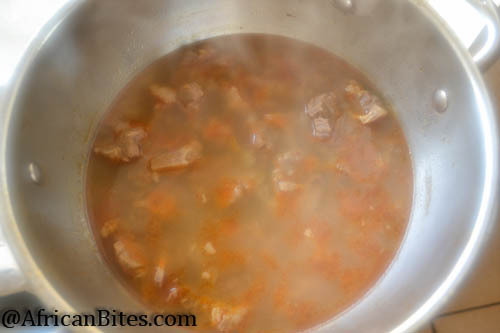 After boiling the beef am usually left with about 2-3 cups of stock. Depending on the duration of the meat. 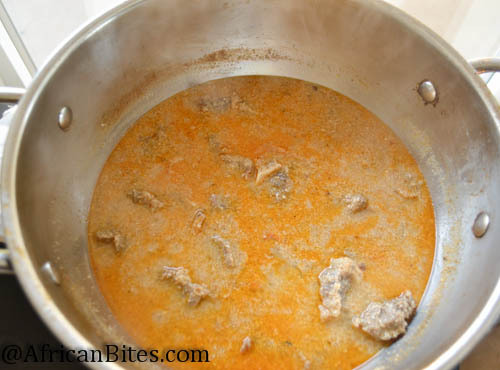 You can always add more or less liquid water to the okra soup towards the end, to achieve desired consistency. Just like you, I used to revile Okra soup when I was a kid, back in Africa. Fast-forward decades later and living in areas where African dishes aren’t on the menus of restaurants, I decided a few weeks ago to give it a try. I did some grocery shopping, found some palm oil as well, bought both plantain and yam fufu flours and tried to remember my mother recipe. Oh boy, I had it good when I was young; call me now a new convert to okra soup! I don’t know how I missed this. Yes Girl! It’s amazing how taste buds change over time. Must make this week! what is EGUSI, sorry I new at cajan cooking? 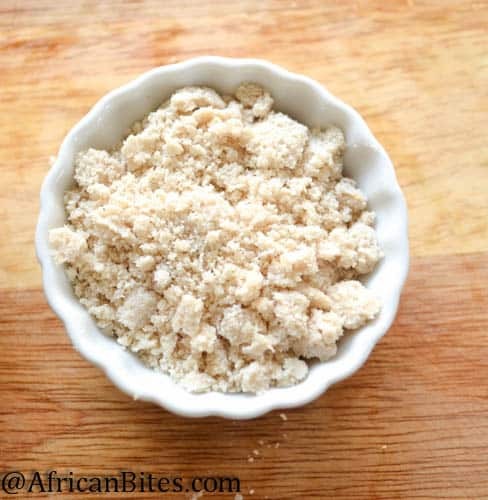 Egusi is a thickening agent used in African Cooking-Available in African Markets. You can sub with green pumpkin seeds. It’s not used in Cajun Cooking. Hi: I love your site. I found it looking for an ox tail recipe and will try one of yours. About the okra. I’m from Charleston and cook with it a lot. 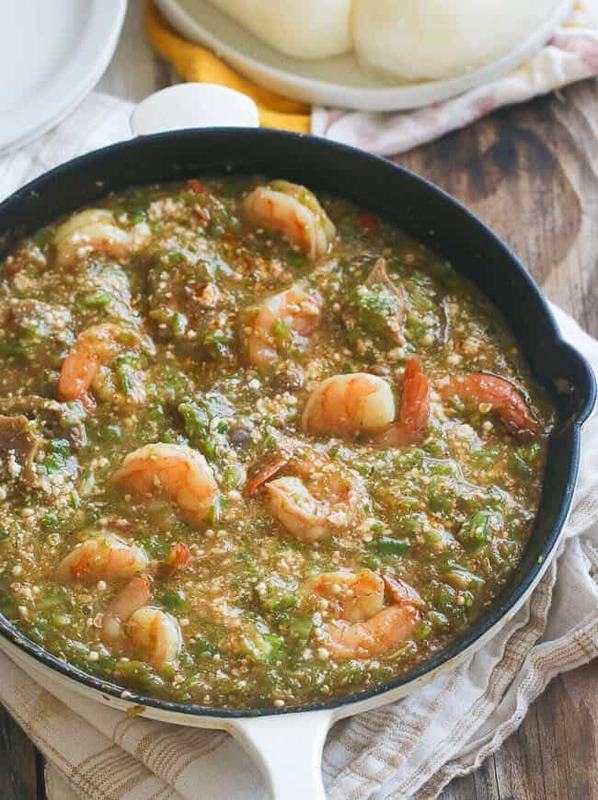 Okra Soup (different from yours – tomato, corn and shrimp based – and okra purloe – okra and rice dish). But the one secret to removing the slime is to sauté the sliced okra in a little olive oil in a cast iron skillet before using in the recipe. Works every time. Keep up the great work here. Can’t wait to try your recipes. Aww thanks for the tip Kim! Can’t wait to try it ! Thanks for all you delicious recipes. Can’t wait to make this!! When do you add the okra? The last thing you do is add the okra – about 5 minutes before you remove the pan from the stove. Delicious. Thanks for this recipe. The added shrimp makes a huge difference. Flavour was awesome.